KUMBA Iron Ore would report mineral sales at the lower end of guidance – at about 42 million tonnes (Mt) – for the 2018 financial after Transnet called a force majeure on its Iron Ore Export Channel (IOEC). There had been speculation in the market today that Kumba had suffered another derailment on top of the four experienced this year. However, Kumba said in a statement today that an incident occurred in which a truck collided with a railway bridge. The line runs from Sishen in the Northern Cape to Saldanha Bay in the Western Cape province. “A truck carrying an abnormal load which exceeded the bridge height collided into a railway bridge, causing structural damage to the bridge and the railway line above,” the company said. “Train movements in both directions have been impacted,” it added. Shares in Kumba edged down just under 2% on the Johannesburg Stock Exchange today. Transnet said a temporary bridge would be built which would help with the reopening of the IOEC on December 9. “Based on this information, Kumba currently anticipates that the lower end of its 2018 guidance … will be met,” said Kumba. It anticipated total production of between 43Mt and 44Mt and 42Mt to 44Mt in total sales. “The incident is receiving the highest level of attention by Transnet. Kumba is working closely with Transnet to ensure that the IOEC line is restored as soon as possible. Further updates will be provided as appropriate,” said Kumba. It was reported in May that Kumba had been forced to declare a force majeure to its customers – its first in five years – after a series of derailments on the IOEC. 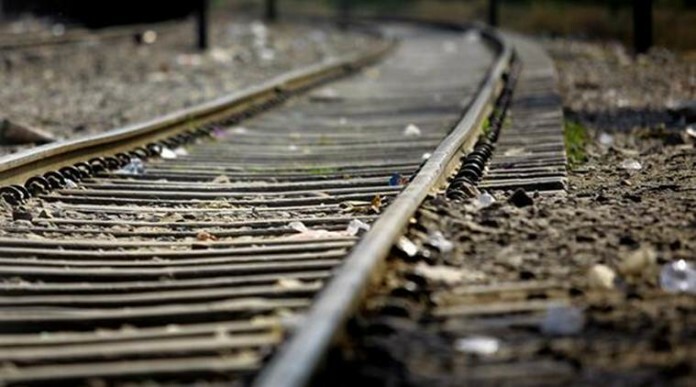 “This year so far we had two derailments while in the past six months we had four, which is quite unprecedented and it raises all kinds of concerns,” said Themba Mkhwanazi, CEO of Kumba, in May. “We are eager to get to the bottom of the causes because it impacts on our operations,” he said. Anglo has had a good year in 2018 with a strong showing from its copper assets, whilst Anglo American Platinum has performed relatively well having undertaken restructuring long before its peers. But it’s not been smooth sailing for its iron ore assets. In April, it estimated it would take a hit of about $400m to its expected earnings before interest, tax depreciation and amortisation (EBITDA) for its 2018 financial year because of the temporary closure of the Minas Rio iron ore pipeline in Brazil. This was in order to inspect two leaks in the pipeline near a pumping station.